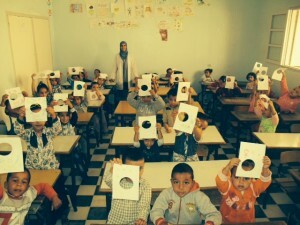 Home News OUR CRAYONS ARE ADDING COLOR TO A SCHOOL IN MOROCCO!! 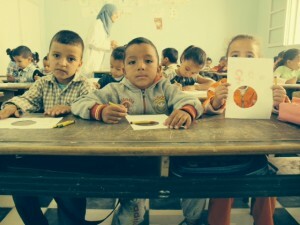 OUR CRAYONS ARE ADDING COLOR TO A SCHOOL IN MOROCCO!! We were thrilled to hear that our first shipment of crayons arrived safely in Talsint, Morocco! Peace Corps. 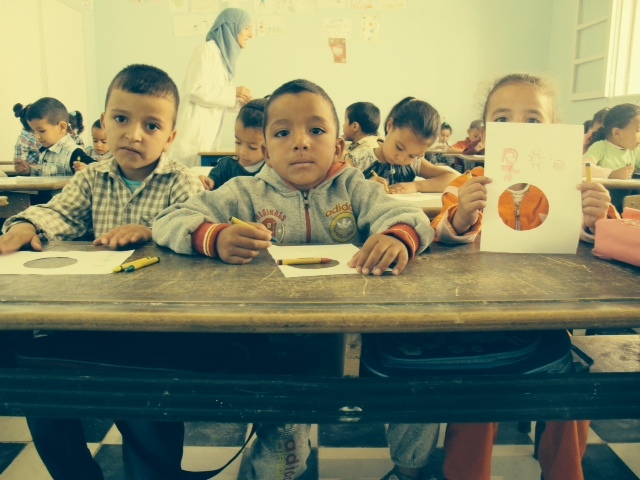 volunteer Caitlin Stechschulte was kind enough to send photos of the children using their new crayons in their temporary classroom, while their school is being renovated. 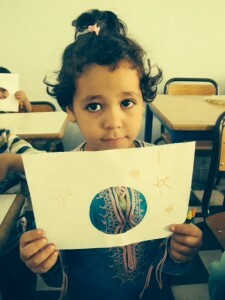 The lesson was about suns and moons and circles, and you can see how the children were using crayons to make their lessons more colorful. We were also so happy to hear that we sent enough crayons that this school has offered to donate some of them to another neighboring school. 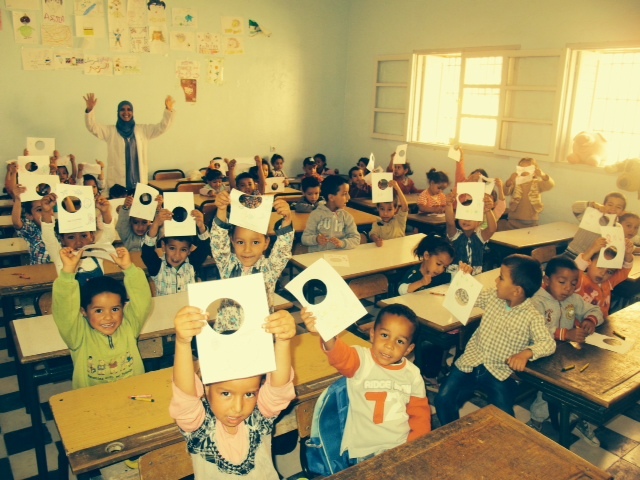 As one of this organization’s long-term goals had always been to eventually send crayons overseas, this has been an amazing opportunity and experience. 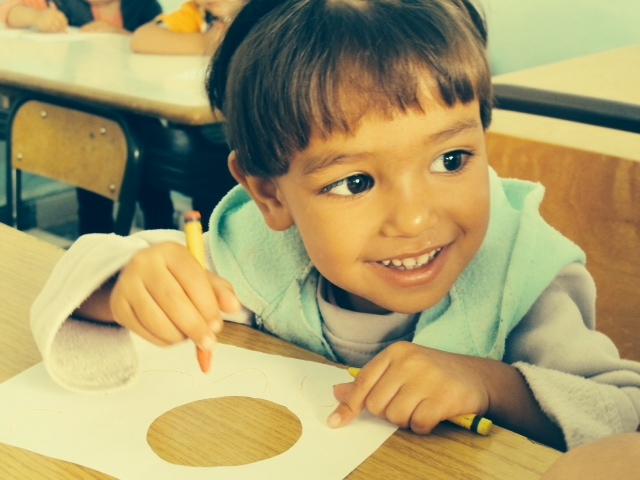 We look forward to shipping crayons across the globe to children who otherwise might never have them. To remember that these crayons would otherwise have ended up in the trash at some restaurant after barely having been used is such a reminder of how fortunate so many children are, and how often this good fortune is taken for granted.